It is gray today. I realize that December is cold and often gray in lots of places, but here in San Francisco the fog is thick and the ground has been wet for days. This is a special and bittersweet time of year for me. Not so much because of the holidays but because my own baby (who will be turning eleven—yikes!) was born on December 19th. It was 2000 and the Year of the Golden Dragon on the Chinese calendar. A very special year to give birth, especially to a boy. We have a very high Asian population here so we were having lots of babies at that time. Winter is naturally a time of staying in for me, both literally and figuratively. I feel like the creature who is happy to hibernate. In our home we make lots of fires and eat hot soup and chili. 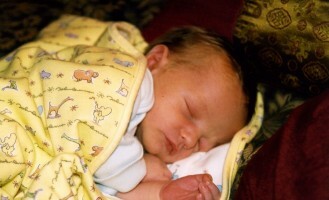 I gave birth a week early to Alexander and brought him home on Christmas Eve. It was a very different sort of holiday. The earth slowed in an amazing way. Day and night became one and it was all good. Cold, dark, rainy outdoors and warm and magical indoors. Of course we were tired and learning the rhythms of a newborn but there was something extraordinary about that time. What I recall is a sense of quiet that lasted for only a very finite time. I’ll never forget it. I wish all of you who are giving birth this month and during this season a magical experience of your own.